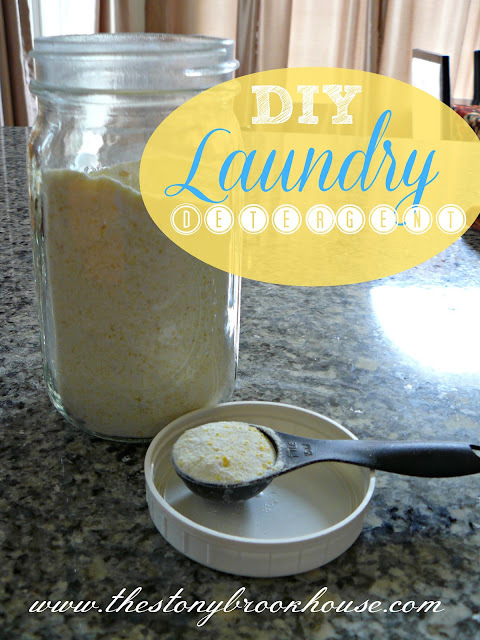 You had to have seen how to make your own laundry detergent. I mean really, EVERYBODY'S doing it! So, I had to give it a try too! First, I contacted my bloggy friend, Eliesa, at A Pinterest Addict. 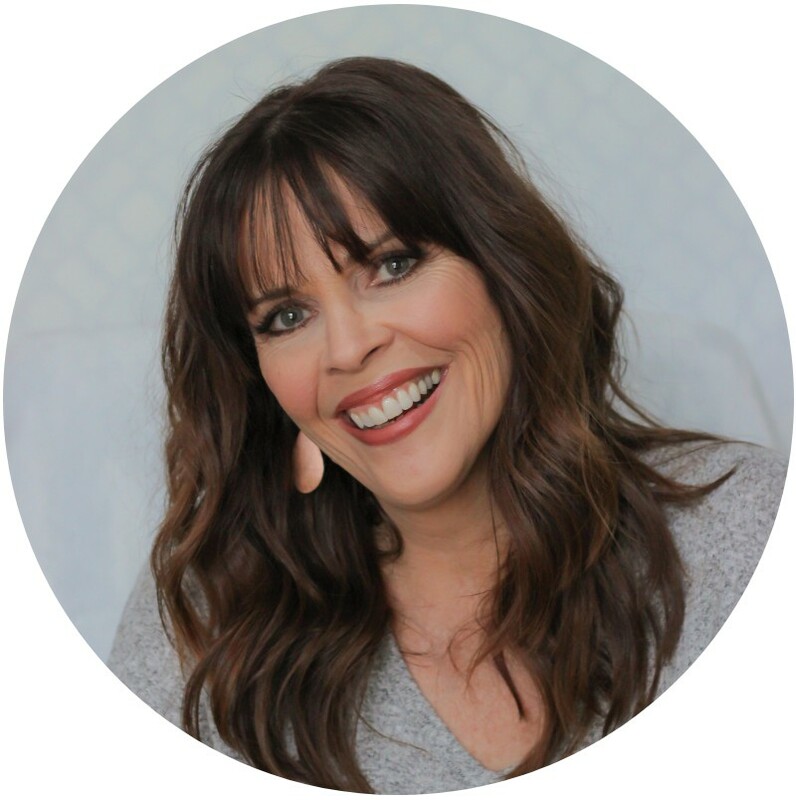 She has a great blog and you should check her out! She's in the middle of a bathroom renovation. I bet it's going to look fabulous!! Anyway, she made this stuff earlier this summer, and I wanted to know if she still "loved" it. So, now I knew I had to try it. 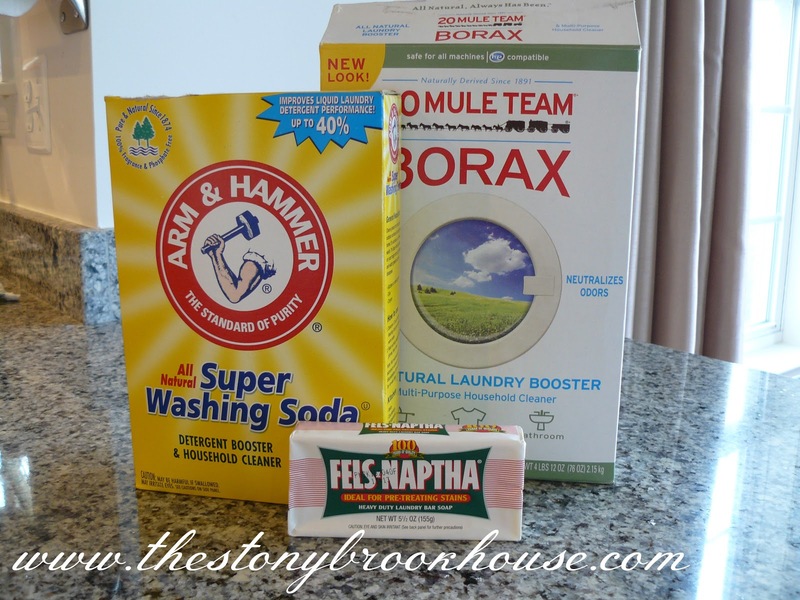 Here's how I made my DIY Laundry Detergent. I did find some recipes that called for both sodas. So, that's what I did. I think the next batch I'll only use the washing soda. Ok, so you have all the ingredients out. With the correct "soda". I grated the Fels-Naptha. What a name? What does it even mean?? Move along, Lori... Grating it was super easy. I timed myself. Three minutes tops! Of course, I forgot to take a pic of that, but it just looks like grated cheese. 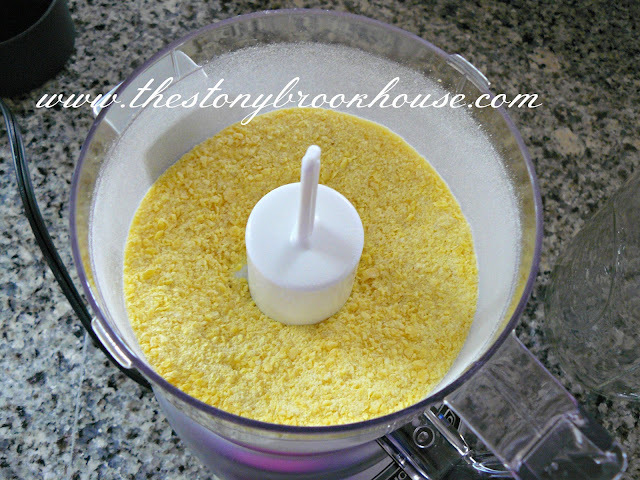 I wanted it finer, so I ground it up in my food processor. 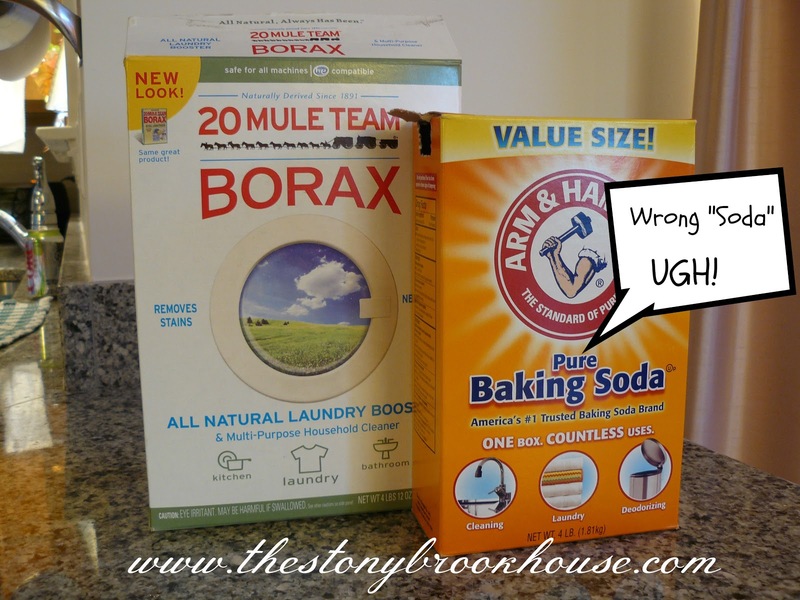 Then just add 1 cup Borax and 1 cup washing soda. Dump in the ground up soap. Put the lid on and shake it up! Literally took me less than 10 minutes to make. 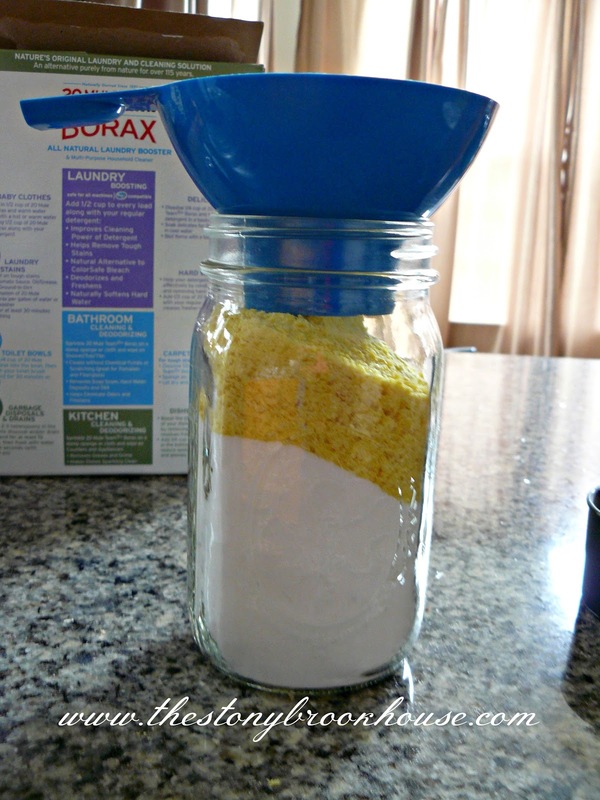 I use 2 Tablespoons per load. I've used it and I like it. I don't think that my "Tide" performs any better. I still use bleach for my whites. Now I heard something about adding vinegar as softner.